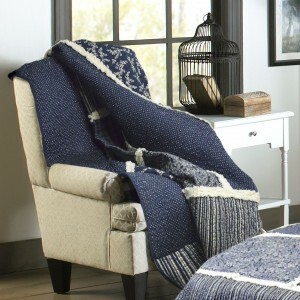 Here is a truly unique and inspired throw. 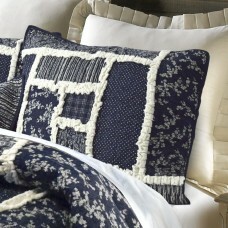 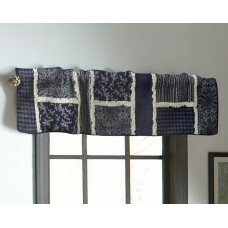 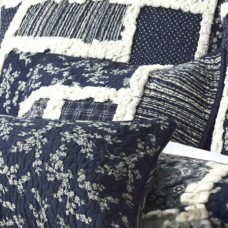 Large panels of navy and ivory fabric are constructed into shapes resembling a classic "Log Cabin" motif. 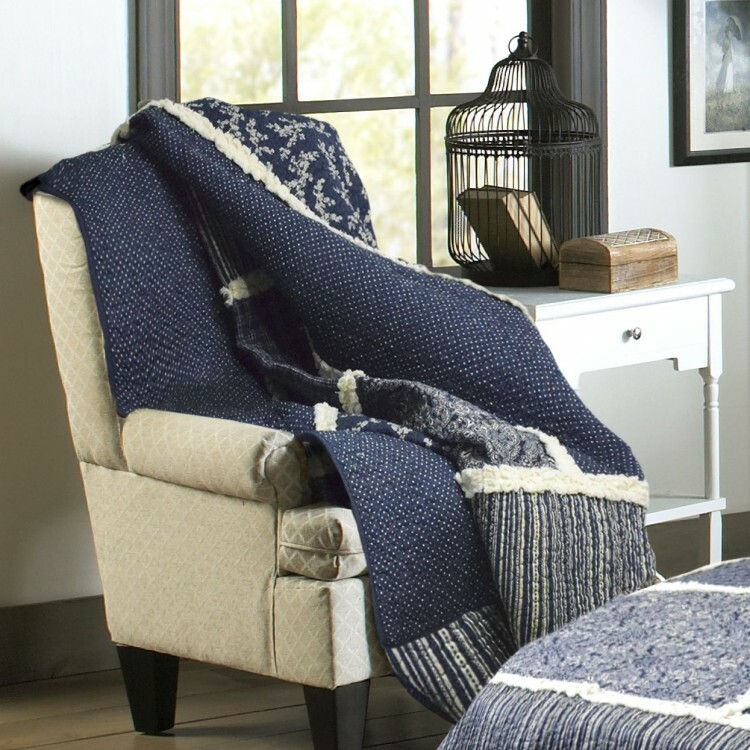 Soft rag edges are arranged on the borders of each fabric, making this throw both inviting to the touch, as well as striking to behold. 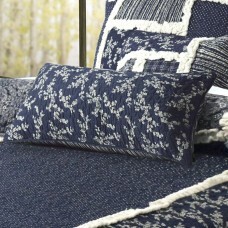 This textured quilt brings a fresh new look to a traditional pattern.Throw measures 50" x 60" and is 100% cotton.